It is hard to know what babies want. They can't talk, walk, or even point at what they're thinking about. Yet newborns begin to develop language skills long before they begin speaking. And, compared to adults, they develop these skills quickly. People have a hard time learning new languages as they grow older, but infants have the ability to learn any language easily. For a long time, scientists have tried to explain how such young children can learn complicated grammatical rules and sounds of a language. Now, researchers are getting a better idea of what's happening in the brains of the tiniest language learners. This new information might eventually help kids with learning problems as well as adults who want to learn new languages. It might even help scientists who are trying to design computers that can communicate like people do. Most babies go "goo goo" and "ma ma," by 6 months of age, and most children speak in full sentences by age 3. For decades, scientists have wondered how the brains of young children figure out how to communicate using language. With help from new technologies and research strategies, scientists are now finding that babies begin life with the ability to learn any language. They get into contact with other people, listen to what they say and watch their movements very closely. That is why they quickly master the languages they hear most often. Studies show that, up to about 6 months of age, babies can recognize all the sounds that make up all the languages in the world. 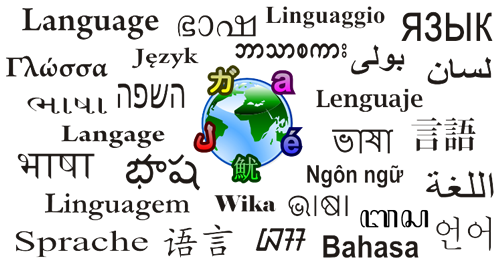 There are about 6,000 sounds that are spoken in languages around the globe, but not every language uses every sound. For example, while the Swedish language has 16 vowel sounds, English uses 8 vowel sounds, and Japanese uses just 5. Adults can hear only the sounds used in the languages they speak fluently. To a native Japanese speaker, for instance, the letters R and L sound the same. So a Japanese speaker cannot tell "row" from "low," or "rake" from "lake." Starting at around 6 months old a baby's brain focuses on the most common sounds it hears. Then, children begin responding only to the sounds of the language they hear the most. In a similar way older babies start recognizing the patterns that make up the rules of their native language. In English, for example, children who are about 18 months old start to figure out that words ending in "-ing" or "-ed" are usually verbs, and that verbs are action words. Scientists are particularly interested in the brains of people who speak more than one language fluently because that is hard to do after about age 7. In one experiment, for example, native Chinese speakers spoke Chinese to 9-month-old American babies for 12 sessions over 4 weeks. Each session lasted about 25 minutes. In the end, the American babies reacted to Mandarin sounds just as well as did Chinese babies who had been hearing the language their whole lives. At about the age of seven these skills slow down. It gets harder to memorize new sounds. So, if you don't start studying Spanish or Russian until middle school, you must fight against years of brain development, and progress can be frustrating. A 12-year-old's brain has to work much harder to build language connections than an infant's brain does. Yet in the United States, learning foreign languages usually begins as late as high school. Understanding a baby's brain may also help scientists design computers that learn languages as easily as babies do. Useful as computers are, they cannot understand a wide range of voices and communicate like people do. For teenagers and adults who want to learn new languages, baby studies may offer some useful tips too. For one thing, researchers have found that it is far better for a language learner to talk with people who speak the language than to use educational CDs and DVDs with recorded conversations. When infants watch someone speaking a foreign language on TV they have a completely different experience than they do if they watch the same speaker in real life. With real speakers, the babies' brains become more active when they hear the sounds they have learned. wide range = very many different kinds of ….